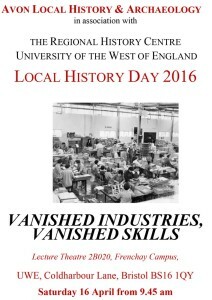 The ALHA 2016 annual study day will be held on Saturday 16 April at the University of the West of England. 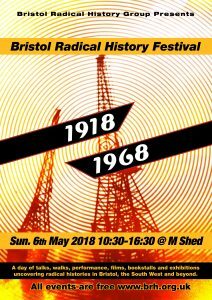 Speakers are Alan Freke on Fry’s, Steve Grudgings on coal mining, Raymond Holland on tar and chemicals, Gerry Atterton on the Great Western Cotton Works, Tony Coverdale on copper and brass, Jane Ferentzi-Sheppard on Finzel’s sugar and Mike Richardson on E & S A Robinson’s paper. 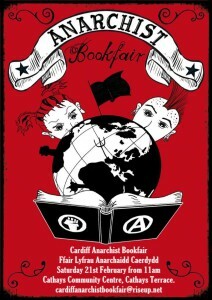 Full programme. 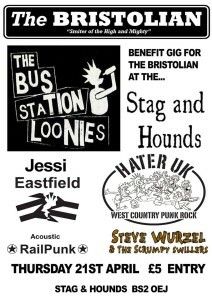 There is a fundraiser for The Bristolian Newspaper at the Stag and Hounds on Old Market Street, Thursday 21st April 2016. 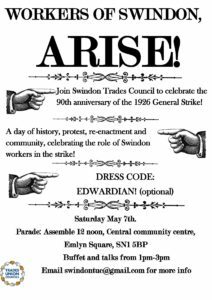 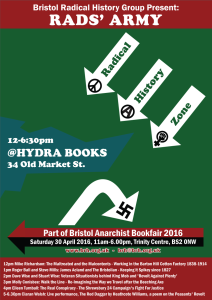 Join the Rad’s Army Radical History Zone on 30th April!